Less Fertilizer, More Nutrients, Faster Growth! 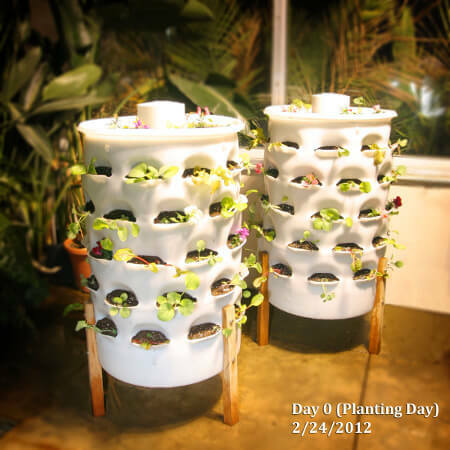 - Garden Tower Project Garden Tower Project > Less Fertilizer, More Nutrients, Faster Growth! 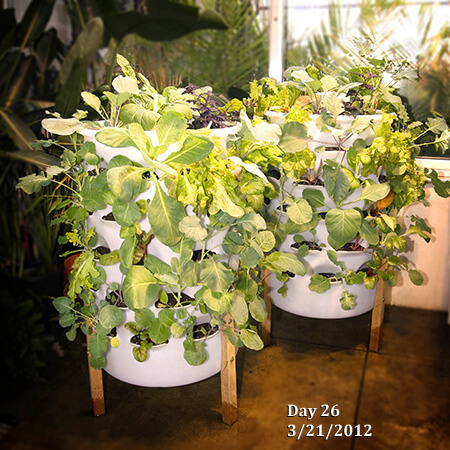 Garden Tower Project > Less Fertilizer, More Nutrients, Faster Growth! 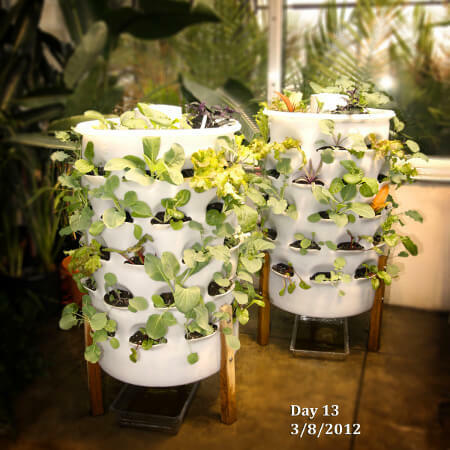 Garden Tower Project > Less Fertilizer, More Nutrients, Faster Growth! Less Fertilizer, More Nutrients, Faster Growth! 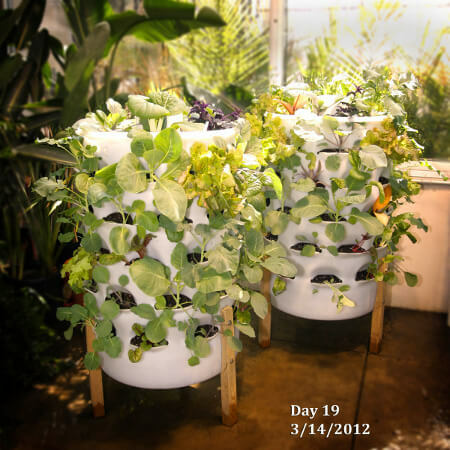 Plants grow faster in the Garden Tower because they are protected in their own special microclimate, and because they have constant access to nutrient-dense water. 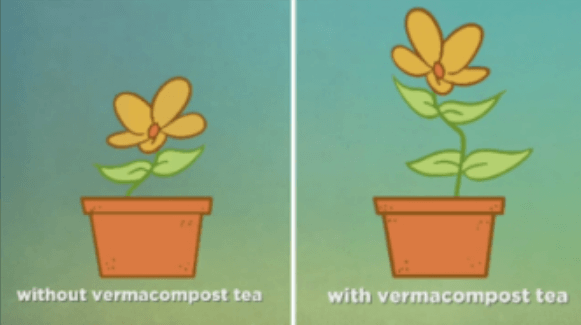 Water is steeped in a hearty brew of “compost tea” and “worm tea” via the vermicompost tube and returned to the soil repeatedly. 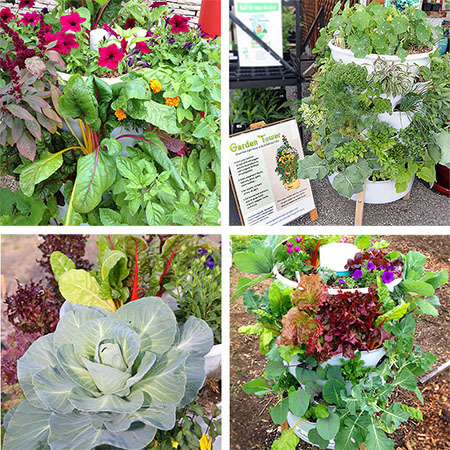 One unexpected bonus of this rapid growth is that you can grow a larger crop of spring vegetables before replacing them with summer plants. 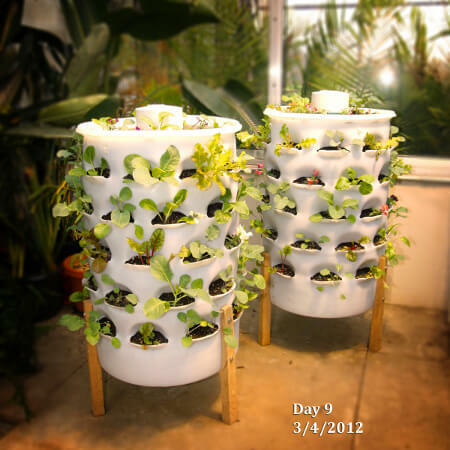 Additionally, the heat storage and insulation provided by the vertical composting Garden Tower allow for an increased growing season over typical container gardening approaches which offer a less stable soil environment; other vertical growing systems simply do not have the necessary thermal mass. What levels of available macro and micro nutrients are present in the “nutrient tea” produced by a Garden Tower?